Riky, helped by Elena, is running The Lemon House after the completion of the purchase at the end of September 2016 from founders Peter and Anne. 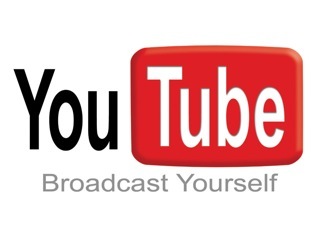 Bookmark their new site. Book with them using their contact form. Ogliastra on the east coast is Sardinia’s wildest and most unspoilt region. The mountains rise to over 1000m within just 20 km of The Lemon House within sight of the beautiful coastline. Our aim in this paradise for active outdoor holidays is to help our guests enjoy all the activities to the full, and enjoy a beach holiday as well! Our mild climate means you can climb, bike, walk and kayak all year round, including in the height of summer. 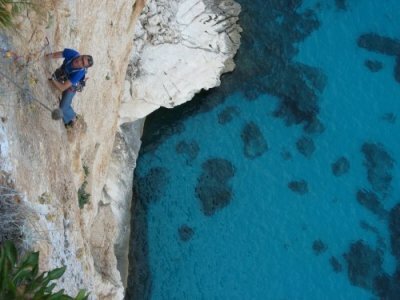 Enjoy year-round Sardinia climbing in spectacular settings, like Peter in the photo on the left on the climb “Abissi” just up the coast from us. Ogliastra is one of Sardinia’s newer climbing areas, with 850 single-pitch climbs, 130 multipitch climbs, bouldering and DWS within an hour of The Lemon House. Many of the routes were bolted by Peter and his friends. Choose grades from 4 to 8c+, and altitudes, climbing style and crag orientation to satisfy everyone. 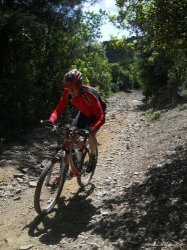 In Ogliastra you find some of Sardina’s best mountain biking trails, from fireroads and forest tracks for cross-country bikers to great technical All-Mountain / Freeride singletrack on the Supramonte, like on the cover of the guidebook on the left. 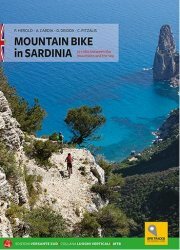 This is the second edition of “Mountain Bike Sardinia”, written by Peter and 3 Sard bikers and published in summer 2016. 77 rides across the whole island, downloadable GPS tracks. All next to the Mediterraneans’s finest coastline. Ogliastra is great for road cycling, with traffic-free roads, fabulous scenery, climbing from sea level to 1000m in just 20 km and technical descents on good surfaces. From May to August, participate in local road races like the one in the photo on the left. Or cycle with Anne on an easier ride down the coast. From easy coastal walks to rugged terrain up to 1800m, with snow in winter, and Italy’s toughest trek, the Selvaggio Blu, Ogliastra offers some of the most varied walking in Sardinia. 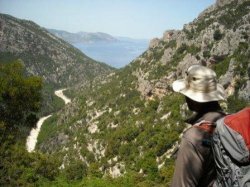 We have walked many of these routes, helped authors to document walks for their guidebooks to Sardinia (in the photo, Cicerone guide’s author Paddy Dillon looking over the Codula di Sisine) and have a wide range of guidebooks and maps for the use of our guests. The beaches in Ogliastra are famous throughout Italy for their beauty and cleanliness, and the coastline is perfect for sea kayaking. Of all the activities, kayaking is the one that requires least experience and is suitable for complete beginners. In the photo left, we are kayaking around the Isolotto d’Ogliastra just 3 km from the Lemon House and enjoying the fantastic view up the east coast of the island. Anne goes kayaking every other day in summer and often when our guests are going. We can help you organise a kayak trip with an instructor including hire of the canoes. Our guesthouse The Lemon House lies at the foot of these fantastic mountains (see photo of Anne on the roof with the mountains behind) where we go walking, climbing and biking and only 1,5 km from the sea with its lovely beaches for sunbathing and swimming. 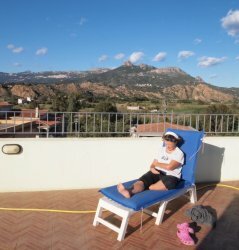 Our small town Lotzorai is on the east coast of Sardinia, on the SS125 main road. We offer Bed and Breakfast accommodation for €30-37 per person per night (slightly more in high summer) and FREE all the support to make the most of your holiday, from a wifi network to lifts up into the mountains with your mountain bike and beta and tips on climbs. What most people don’t know is that Sardinia has a fascinating prehistoric culture to explore. Perfect for relaxing after a morning’s sport. Our mild climate lets you enjoy these activities all year round. In summer you simply go higher or seek out the shade, in winter you stay by the coast in the sun.